BY EQUI-LOGIC ARE MADE IN USA. 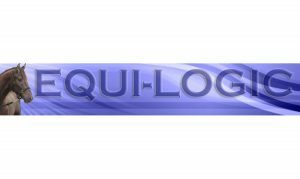 Equi-Logic strives to manufacture innovative equestrian products using only the highest quality goods and materials. Focus for product design has been inspired by solving problems that occur in training, showing and horse management. The Ruffled and Tuxedo style stock ties are an original design by Equi-Logic. The Color Block Stock Tie is our newest offering of original products created designed and manufactured by Equi-Logic. There are alot of copies out there but these are the originals. The Equi-Valet, Saddle Pad Carrier and Cover Your Assets were designed by Equi-Logic out of necessity to stay organized and comfortable. All products have been tested for correct performance, ease of use and care, as well as comfort for the horse and rider. Quality hardware,fabrics and sewing techniques remain our standard and all products are guaranteed and proudly made in the USA.